The location/view was fantastic. Although there was noise late into the night, we slept with the windows open and enjoyed both the open air and people having fun. Ideal location for sightseeing, finding places to eat, and just relaxing. The host(s) were very friendly and helpful. 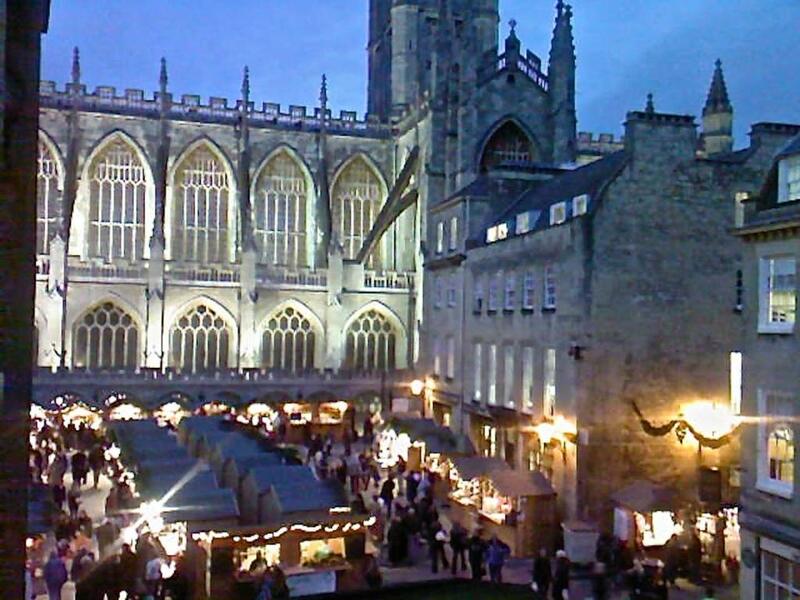 You can’t beat the location having a view of both the Abbey AND the Abbey Green. Loved the decorations and older feel of the bedroom. The pull down bed was very practical so my brother and I each had our own double bed. Kitchen had all you could ever need with a washer and dryer and Charley gave us a great welcome and shared some great places to eat and drink in Bath. 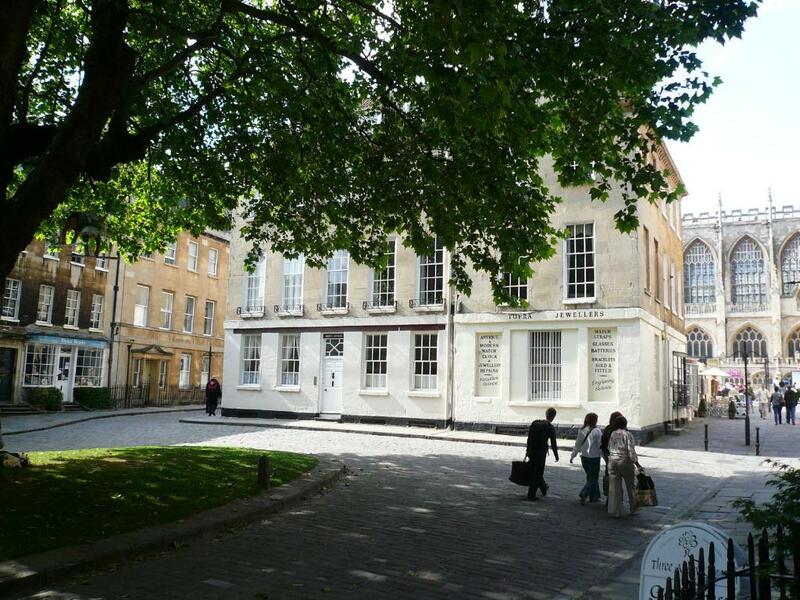 Centrally located next to Abbey and Roman Baths...couldn't be any better! Great views, and very comfortable. Personal service from hosts. Washing machine & dryer. Close location to Abbey and eating. Well setup apartment. The foldup second bed left generous living space. This was so central it was fabulous, a short stroll and everything you wanted from this city was in front of you. Our reception from Charley was more we could have hoped for, he obviously loves this city. The rooms were lovely and although we were in the heart of the city our area was very quiet in the evenings. All arrangements went really well to plan. Nice touches with fresh croissants etc Superb location. The person who greeted us on arrival was excellent. The location and able to park was excellent. The appearance of the room was lovely. Location perfect just behind abbey and Roman Baths right in centre. Apartment had everything we needed. 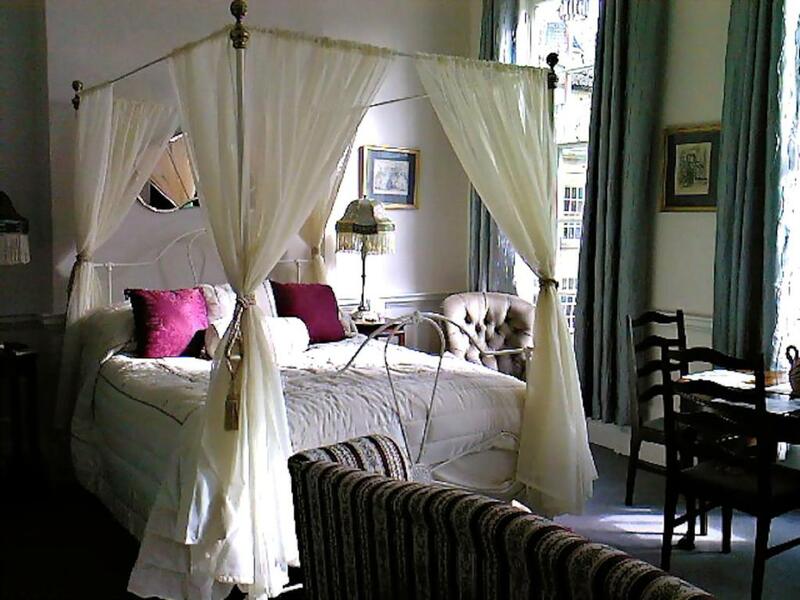 Pretty 4 poster bed. Loved it! Also had free parking nearby - a bonus. 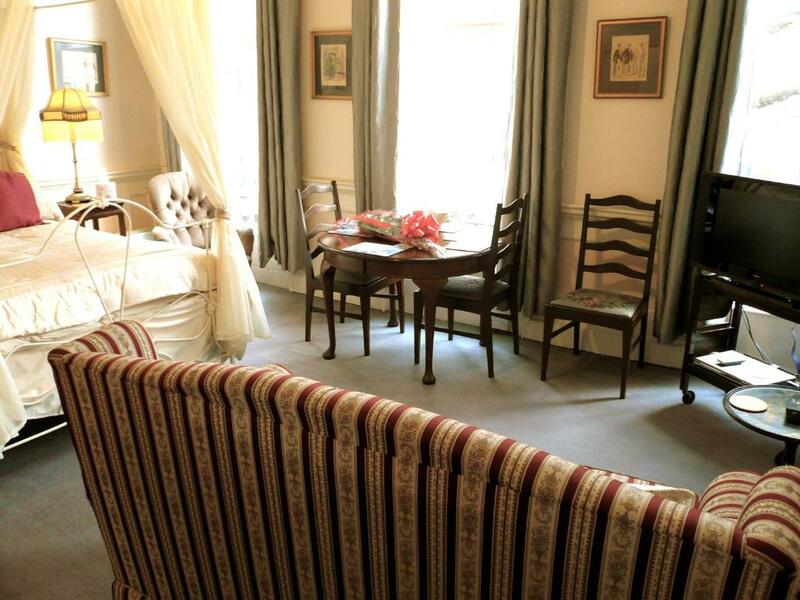 Lock in a great price for Abbey Green Apartment – rated 8.9 by recent guests! Abbey Green Apartment is located within a beautiful period building and has tall ceilings as well as incredible views of the city from its Georgian windows. 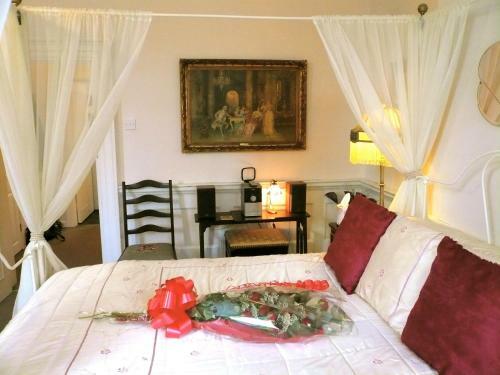 The apartment has stunning décor and even offers the luxury of a four-poster bed. The living room features a flat-screen TV with cable channels and DVD player. With a washing machine and tumble dryer, the well-equipped kitchen also comes with a fridge, microwave and dining area. For dining out, Bath’s many bars and restaurants are located within yards of the apartment, and Parade Gardens are a 5-minute walk away. Theater Royal Bath is 0.4 miles from the apartment, while Bath Abbey is just a 2-minute walk away. Bath Spa Railway Station is less than 1,650 feet from the property. 뀐 Located in the real heart of Bath, this property has an excellent location score of 9.9! When would you like to stay at Abbey Green Apartment? 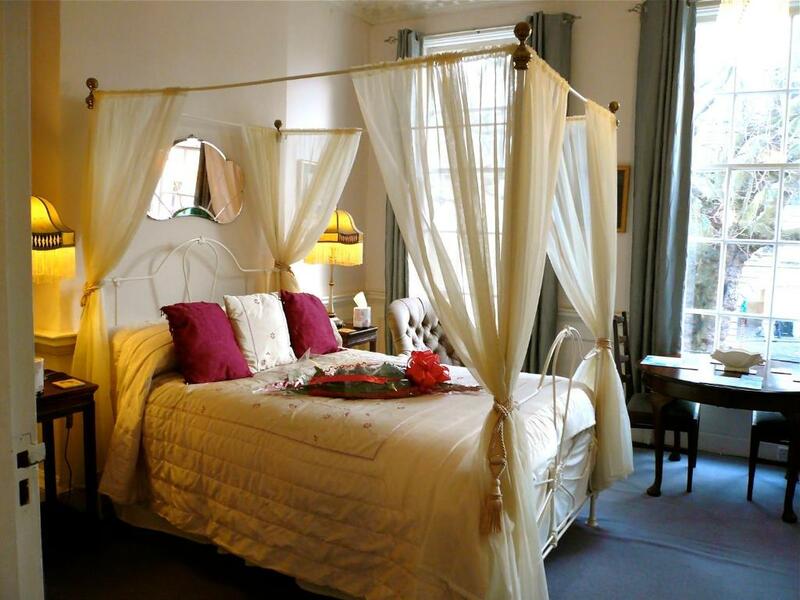 Furnished with antiques, this apartment has a fully equipped kitchen, a four-poster double bed and a bathroom with shower. This apartment has many outstanding features, including the high ceilings and cornice and the three huge windows overlooking Abbey Green. The most amazing thing is its view of the Bath Abbey, which is right behind us. The antiques add to its charm. I am a former musician, but I am still a writer. 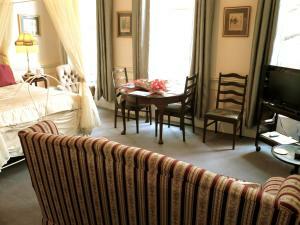 I have been renting holiday apartments in Bath for several years. I am from San Francisco originally and love antiques and old buildings as well as people, animals, world literature, films & music. 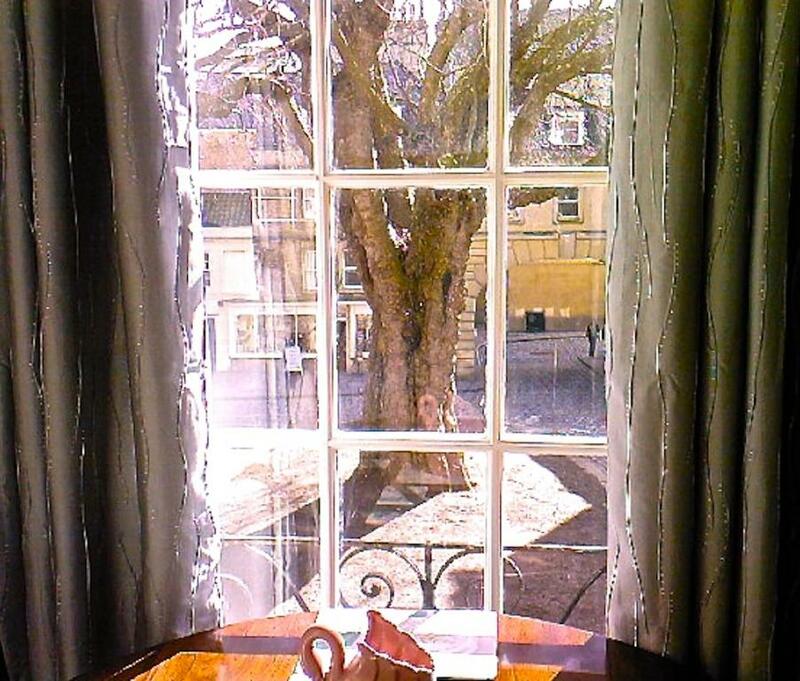 This apartment is located in the centre of Bath, in front of the Abbey and Roman Baths, so we have folks from all over the world walking by, taking photos and enjoying the atmosphere of Abbey Green and the ancient pubs and lanes all around us. House Rules Abbey Green Apartment takes special requests – add in the next step! Abbey Green Apartment accepts these cards and reserves the right to temporarily hold an amount prior to arrival. Please note that the property will send an email with payment instructions once the booking is confirmed. 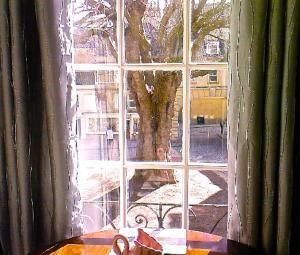 The property offer a parking permit which allow guests to park on the street in central Bath. Please inform Abbey Green Apartment of your expected arrival time in advance. You can use the Special Requests box when booking, or contact the property directly using the contact details in your confirmation. The bed is a bit uncomfortable (dippy), and unfortunately the shower is not great. However, thew room was not expensive so I don't really wish to complain, I'm simply answering the question. Not crazy about having my details/opinions splashed over the internet either. Would frankly really rather not have to 'rate' everything. A little tiresome. The property is reasonably priced and suits people who need a home base in the centre of it all. From that point of view it's great. All was excellant i cant think of anything i did not like. The shower was similar to a dripping tap and no good for a proper wash after being out all day (difficult to even wash soap away). The settee required at the least new foam seat cushions to avoid disappearing into the base. The bed had an unsuitable matress that forced each person to roll to the centre. Some capital expenditure required here! Everything was wonderful. Only issue was the shower pressure and control of temperature. But mastered this after a few practices. Also the garbage collection system was not clear to us, but we spoke with owners who gave us clearer directions. The hot water in the shower was a little intermittent and the buttons to work the volume on the Tele were slight out of sequence which was made slightly more difficult as I couldn’t find the remote control to work the actual television. The beds were very comfortable and the location was fabulous. It was lovely to have some entertainment provided as well in the form of books and DVDs. It was also lovely and warm. Noisy at night. Fire alarm went off at 3 am and I had to disable it at 4am myself, as couldn't reach Charley on the phone. Beautiful decor. Well equipped flat. Central location.